The only way to be successful at most things, including content marketing, is to be sharply focused. That means that rather than trying to go after every possible customer segment in your market at the same time, you need to concentrate on just the one or two segments that matter most. Once you have narrowed your focus down to those one or two segments, it’s important to really focus on them and do everything you can to understand the customers in those segments and the buyer journey that they are on. Having this contextual understanding of your buyers is essential if you want to customize your overall strategy and get the best results. In addition to having someone to run your program, it’s important to augment his or her team by building out a broader community of freelancers, industry influencers, co-workers, and fans, followers, and subscribers, all of whom can be helpful in creating and/or delivering content. The goal of content marketing isn’t to create content just because it’s fun. It’s to drive conversions. By setting clear conversion goals for the content you create, you can encourage people to take specific actions like visiting your website or downloading a free trial of your software, as well as measure how effective each piece of content is at driving that conversion. Having that insight will then allow you to make whatever adjustments are necessary to optimize your conversion mechanisms and ultimately push your audience down the path to purchase. If your content doesn’t do all of these things, it’s not working as hard for you as it should be. Lots of nascent content marketing programs fail to take off because they aren’t able to publish their content on a regular and consistent basis. A blog might get updated this week and then not again for the next three, which makes it hard to build any momentum and sustain your audience’s interest and attention. The solution is to find a content rhythm — a cadence or publication schedule — that you know you can commit to. Create a steady beat, even if it’s slow at first, and gradually increase the tempo over time, adding in additional notes until you’ve got your desired rhythm. As I noted in my last post, content creation is only one part of the content marketing equation. You also have to figure out how to deliver your content so that your messages get in front of as much of your target audience as possible. That could mean using social media, getting industry influencers to share your stuff, using paid online advertisements, or finding other websites or publications to include your content on. 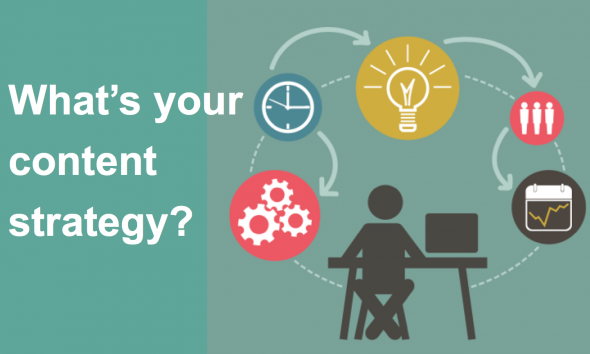 Your content delivery efforts need to be just as robust as your content creation efforts. Unless you have a lot of resources at your disposal, you are going to want to find a way to scale your content marketing program without having to hire more people and spend lots of extra cash. One really effective way to do so is to get in the habit of recycling, repurposing, and repackaging your content so that everything you create does at least double if not triple duty. For example, you might turn a series of blog posts into an eBook and then turn that eBook into a webinar. The idea is to share your content in a variety of formats to appeal to a variety of audiences without having to start out from scratch each time. Another important step to scaling your operations is to institutionalize your content marketing. In other words, establish and document processes for everything that you refine and perfect over time. Doing so will help you become more consistent, transparent, and efficient. The key to demonstrating the power of your content marketing program and being able to improve it over time is metrics. Measure what you do — how much content you create, how many page views that results in, what conversion rates you get, etc. — and analyze the results. Sit down and discuss them as a team, figure out what went well and what didn’t and why. Doing so will give you the insights you need to make informed changes to your strategy and ultimately get better faster. With these eight pillars in place, you will have the foundation you need to develop a very successful content strategy.